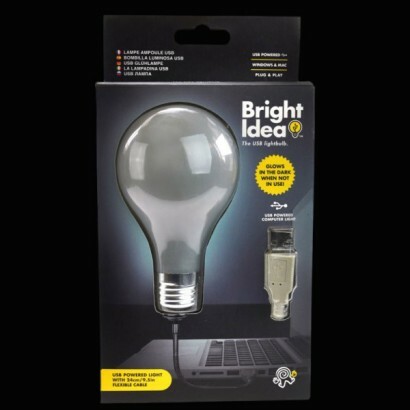 A very bright idea, the Bright Idea USB Light Bulb is a USB powered computer light that plugs directly into your Mac or PC to give a little light as you work. 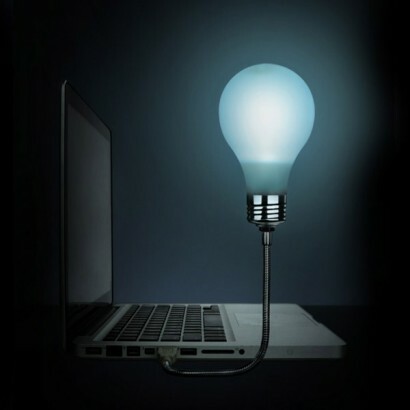 A simple light bulb, this USB light bulb sits on a flexible cable that can be bent or manipulated to give light at the best angle for your work, and better still, when it's not in use, it glows in the dark! A fun little gadget to light up your PC. Glows in the dark when not in use!